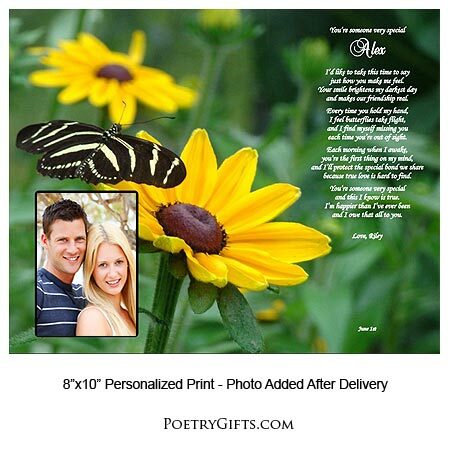 Need an idea for a birthday or anniversary gift for your special boyfriend or girlfriend? 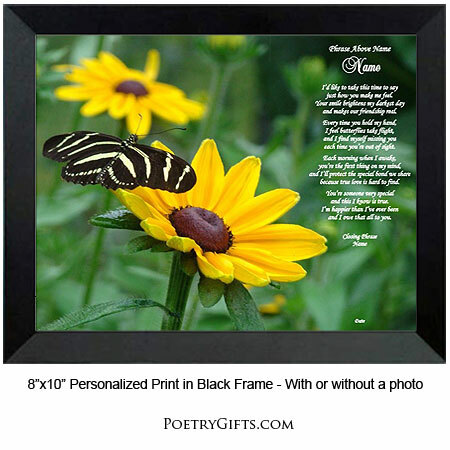 This EXCLUSIVE Poetry Gift with original poetry and photography is a one-of-a-kind gift. Personalize with names and a personal message. Frame it yourself or choose from one of our modern frames. The beautiful sunflower and butterfly design makes this one a Winner! Why spend time shopping the malls. Let us create a lasting gift for you that will be appreciated for years to come. 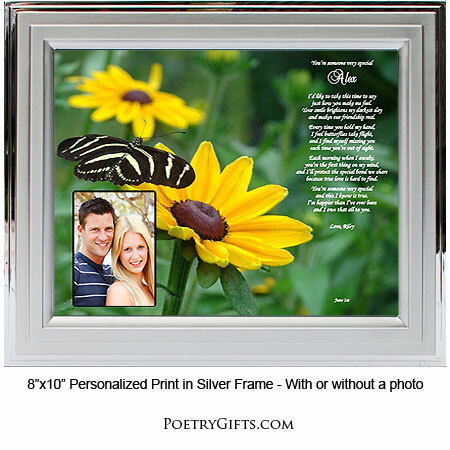 Meaningful and thoughtful anniversary or birthday gift for your significant other.